	Integrated design without cable, simple and diverse installation, the installation material cost is much lower. 	Don't need power network to supply electricity, no need to pay electricity bill, save resource. 	Waterproof, rust proof and corrosion proof. 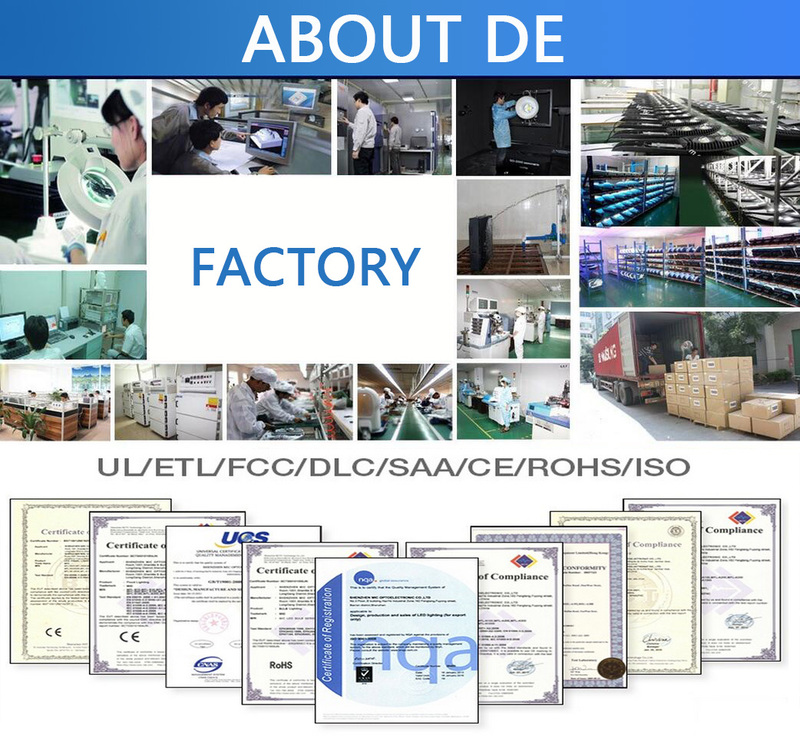 	Standard configuration: with infrared sensor, people come closely, light on; no people, light off. Suitable for rural road, community, courtyard. Q1. 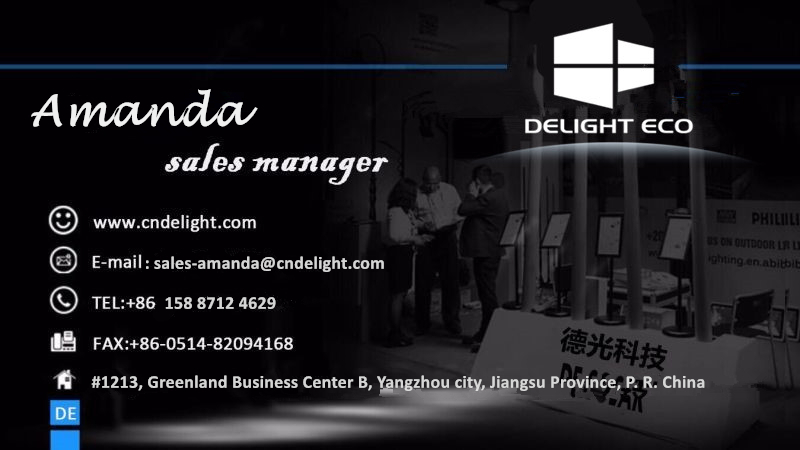 Can I have a sample order for All in one solar led Street Lamp? Q3. Do you have any MOQ limit for All in one Solar LED Street Light order? Q5. 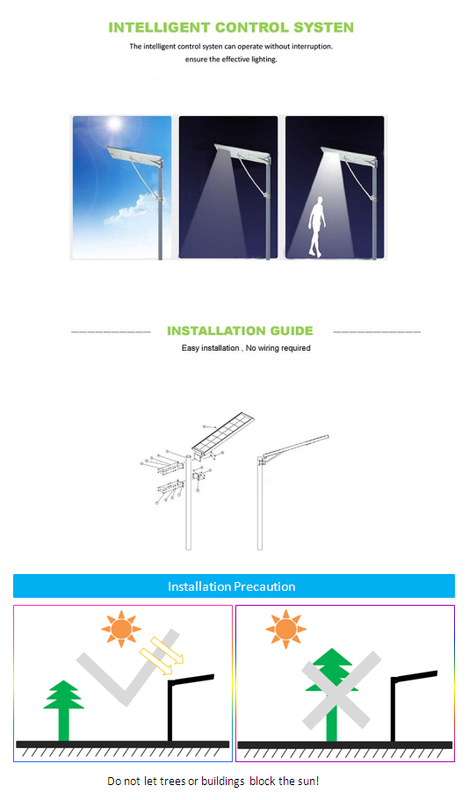 How to proceed an order for All in one solar led street lamp? Q6. Is it OK to print my logo on All in one solar led street lamp product? Looking for ideal Solar Sensor Light Manufacturer & supplier ? We have a wide selection at great prices to help you get creative. 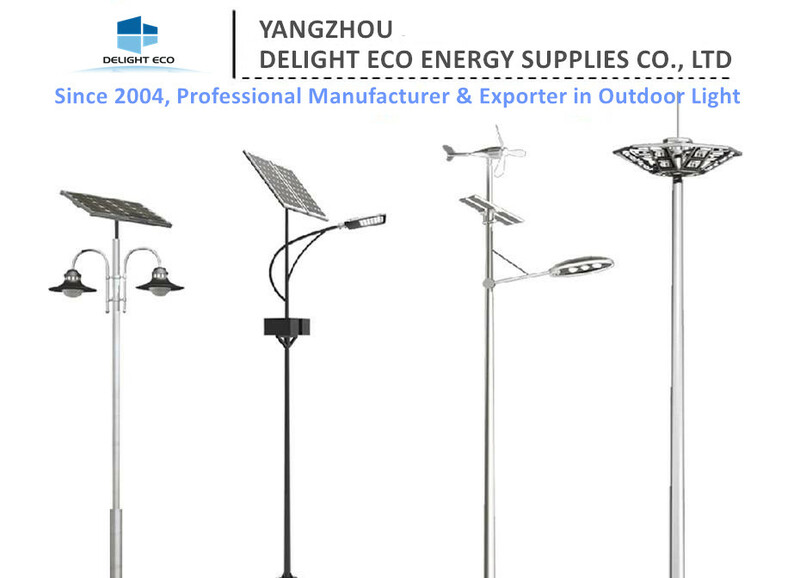 All the Led Solar Street Light are quality guaranteed. 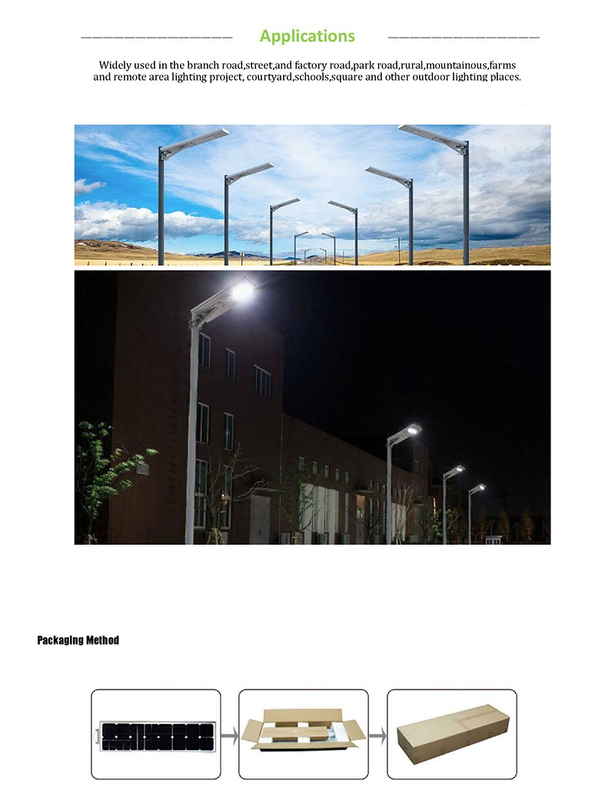 We are China Origin Factory of Power LED Street Light. If you have any question, please feel free to contact us.